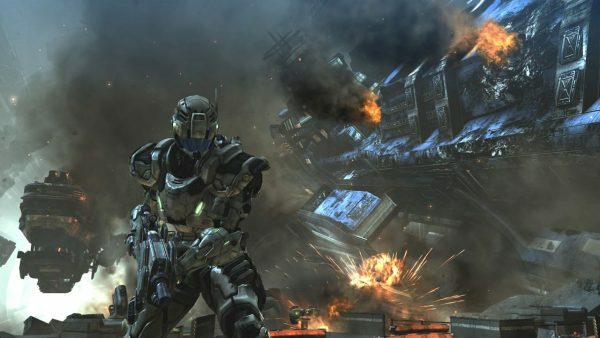 The recently released PC port of Vanquish may be winning praise for its scalability and good optimisation, but it appears one major bug slipped through the cracks. The problem, first discovered by NeoGAF member Wesker, is that the higher your frame-rate is, the more damage you’re going to take. As you can see in the GIFs through the link, the player tested it in the game’s tutorial AR mode. At 30fps, the character appears to take multiple hits before it goes into slow-motion (a feature in the game to allow you to escape danger). At 60fps, however, the character only has to get hit once, meaning the damage in one hit at 60fps is equal to three or four at 30fps. Though this may sound weird, it’s actually not that uncommon of an issue on PC ports. You may remember the durability problem in Dark Souls 2 on PC that resulted in weapons degrading twice as fast as they did on consoles, thanks to the PC version’s 60fps support. The issue even later made it into the Scholar of the First Sin edition on PS4, and Xbox One, before From Software fixed it. Other games, such as Need for Speed: Rivals, tied game physics to frame-rate, which meant anything beyond 30fps completely screws up game physics. For its part, Platinum quickly acknowledged the issue and released a beta patch on Steam to fix it. The patch needs to pass QA first before it becomes available to everyone, but you can easily opt into the beta branch through Steam. Check the link above for the rest of the patch notes.